Suzuki hints at launch of the new V-Strom! | IAMABIKER - Everything Motorcycle! 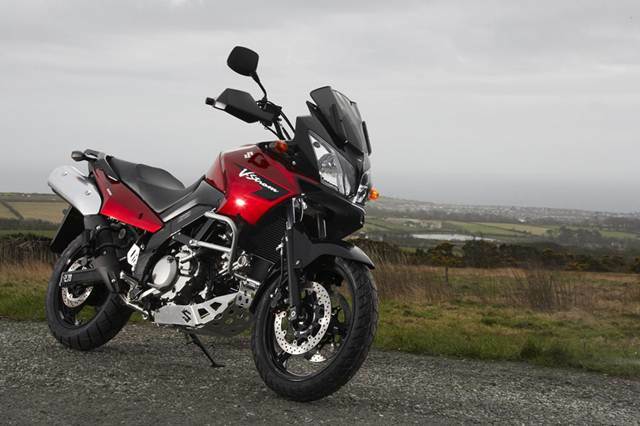 Home News International Suzuki hints at launch of the new V-Strom! Suzuki hints at launch of the new V-Strom! A handful of European motorcycle journalists have received an invitation to be present at an unnamed Suzuki motorcycle launch that would be held at the end of this month. Although Suzuki has only hinted that it could be motorcycle that belongs to the powerful medium weight, popular speculations suggest that this is a new generation of the V-Strom! The new DL650 V-Strom should be based on the platform of the Suzuki Gladius, which significantly reduces the cost of development. In addition it should get a new engine, brake system, and of course a totally new design. The invitation sent out by the Suzuki reveals only a fraction of the new motorcycle, basically gives a hint of what the front end looks like. More information about the new Suzuki motorcycle we will bring you in the coming weeks.